In a typical household, heating and cooling costs account for an average of 40% of the home’s annual energy expenses. Because up to 32% of the energy in your home can be lost through inefficient doors and windows, it’s worth it to make sure your window and door products are well-kept and maintained to prevent energy loss and higher utility bills. In most households in communities across the country, sustainability is increasingly becoming an important factor to consider when building or upgrading homes. Installing windows and doors that are energy-efficient are critical steps to a more environmentally-conscious existence. Through energy-efficient door and window installation, you will not only be able to do your part in helping the environment, but you’ll also enjoy significant cost savings now and in the long run. EcoView Windows is proud to help homeowners improve their homes with beautiful, energy-efficient, and durable windows and doors. In this article, our expert window installers and home remodelers will discuss the benefits of our most modern and high-performance products, and how to upgrade your lifestyle with more energy-efficient doors and windows. 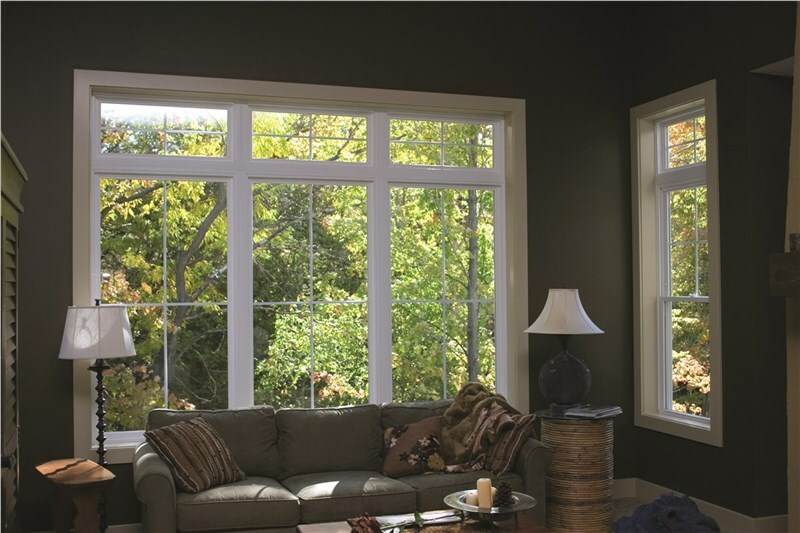 Double-Pane Windows: This is a cheaper option, costing one-third less than triple pane windows. These window types can reflect 90% of the heat from the sun while allowing more natural light into your home compared to triple-pane windows. Triple-Pane Windows: Although triple-pane windows are more expensive than double-pane windows, they’re more efficient as well. Aside from reducing energy bills more effectively, triple-pane windows also feature significant noise reduction performance, a benefit that can greatly improve your life indoors (especially if you live in a busy city or neighborhood). Plus, the extra pane of glass can provide greater security and longer-lasting durability, because it’s much harder to break. All of the windows in stock at EcoView Windows are energy-efficient and can be customized according to your specific climate or region. With our products’ vinyl frame and sash, as well as our window glass with a thermal barrier, you can enjoy energy savings of up to 30 percent—and a noticeable reduction of your utility costs. SolarFlect™ Insulating Glass: We can provide three grades of low-E insulating glass that can best suit our customer’s unique needs depending on the climate demands of their area. Vinyl Frames: Our vinyl frames are not only highly durable and can last for long periods of time, but are also built around insulating air chambers that can provide more effective protection against energy loss. Multiple-Pane Glass: Our double- and triple-pane products are filled with Argon gas and sealed in order to minimize the transfer of energy between the external environment and your home. Whether you need awning, bay, bow, casement, double hung, picture, impact, or slider windows, EcoView Windows surely has an energy-efficient option for you. Fiberglass Doors: Highly customizable in 1, 2, 4, or 6-panel configurations that can be combined with a glass option. Plus, a wide range of wood tone finishes and durability. Both types of EcoView’s door products are durable enough to last for many years. With the different styles and colors, exceptional performance, and reliable service, you will be able to level up your home and provide a great entrance.